Offer subscriptions and auto-ships for your shoppers with Rebillia’s “Recurring Orders” feature. Easily add a custom subscription option to your selected products and allow your shoppers to enjoy their favorite products every day all year long. With Rebillia, there will be no need to create a separate product for subscription. The subscription option will show along with any other existing options on your product. When creating a new subscription plan, Rebillia will automatically assign the new subscription option to your products. The newly added subscription option will inherit the platform’s look and feel to ensure the same smooth interface your customers are already used to see. 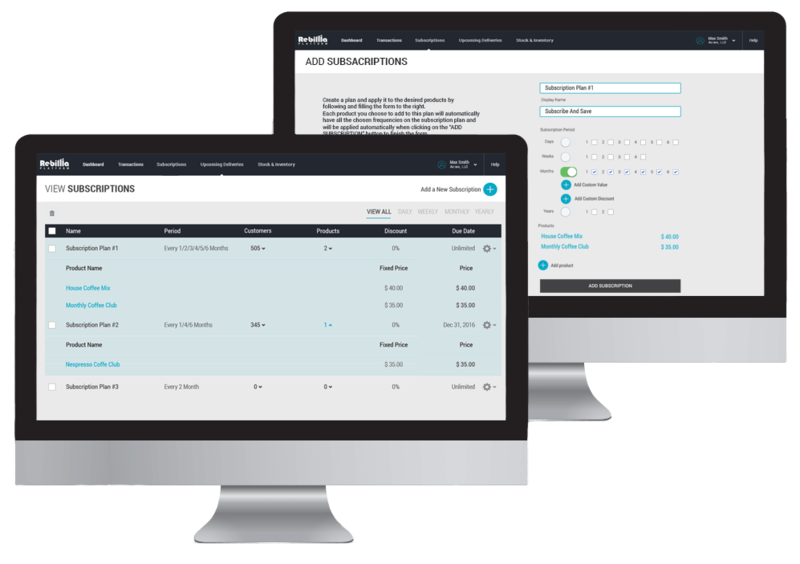 Keep the controls in the hands of your customers with an intuitive personal interface to manage their subscriptions. Give your customers the interface where they can view and manage all of their already set subscirptions for the next 6 months. With charge dates, products and total prices – they will stay in charge! Most customers will need time and experience to learn their subscription curve preferences for each product. Allow them to expidite or postpone subscribed products to perfect the art. 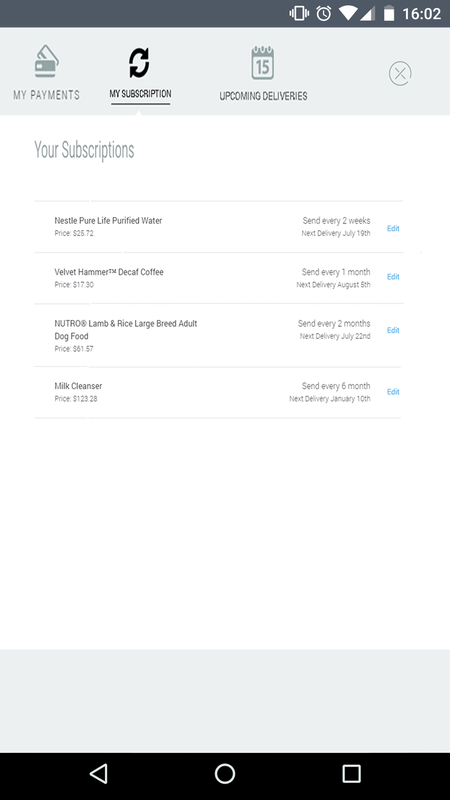 Easily view, edit or change your payment information for every subscription plan. Keep track of your subscribed cutsomers and products 6 months in advance to stay on top of the game and never lose a sale!